ClearIAS Team receives emails not only from college students but many schools students (and parents too) about guidance and strategies to clear IAS exam. There are many who want to start early. We appreciate the eagerness, ambition and enthusiasm of aspirants. It’s always good to start early. 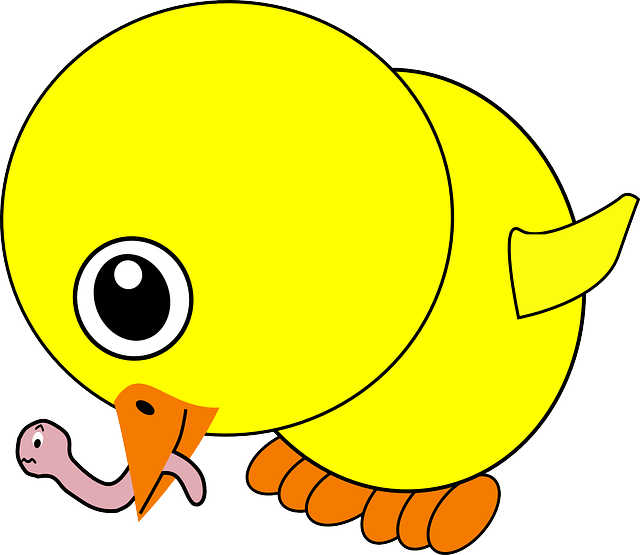 There is an expression in English – “The early bird catches the worm”. Early birds are persons who start their actions much early than most others. There are advantages for early birds in all folks of life, and the same is true with regard to UPSC Civil Services Exam (IAS exam) too. This article is for those early birds who have enough time, say, at-least 1 year for a long term preparation before next IAS preliminary exam. Start early to save precious youth-years! Considering the vast UPSC syllabus and limited time available at later stages of Civil Services Exam, it is generally a good idea to start early. That doesn’t mean that if a school student aspires to become an IAS officer he should start with heavy-weight UPSC books right from Standard 4! But, an approach in tune with UPSC requirements will definitely help. A long term approach might help to save precious youth-years of many candidates as they will be better oriented and equipped when they actually wet their feet in UPSC waters. But that doesn’t mean that those who start late can’t clear IAS exam! The post does not intend to say that those who start late can’t clear this exam. Of course, anybody, senior or junior, who has the will, quality and perseverance can clear IAS exam. There is absolutely no doubt in that. What this article intends to say is that there is an advantage for those who start early with proper orientation, provided they keep the same vigor till the end. This post provides guidance for early starters; it might help experienced candidates as well to gain a better insight about the exam requirements. 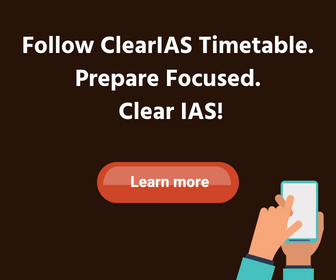 How much time is needed for IAS preparation? 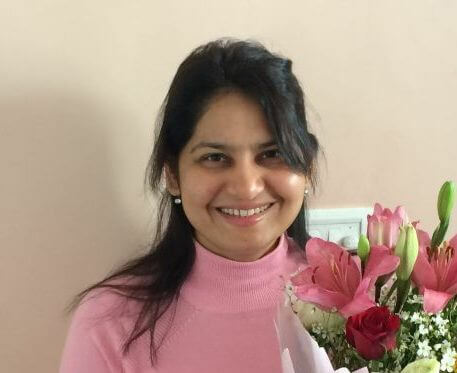 Just like Rome, an IAS officer is also not built in a day. The knowledge, analytical ability and personality of the candidate developed within a span of around 20 years is tested in this exam. Of course, the foundation can be polished to the tune of UPSC requirement in last one year, but for building a strong foundation it requires long-term effort. If you have built a strong foundation, the job is half done! A naked, but motivating truth: If you have a good understanding of the subjects in your school days (NCERT books) and have a habit of reading newspapers regularly, then you are as good as most of the serious and senior players taking this exam! Check with all those who cracked IAS, they might be late to start serious IAS preparations, but they all would have been current-updated (decent newspaper reading habit) with strong base on school subjects (NCERT texts). I have enough time; What should be my strategy to Clear IAS in first attempt? Many articles have been written already covering the strategies and guidance during the last 6 months – 1 year before the IAS exam. For all queries like “How to begin IAS Preparation?”, “As a beginner how should I start Civil Services exam preparation”, “How to manage IAS preparation during my graduation?” etc. we have five suggestions. You may refer articles in this website – ClearIAS.com. Go through UPSC Syllabus and previous question papers of IAS Prelims and Mains so that you will get a clear idea about the areas from which questions are normally asked. Develop the habit of newspaper reading – particularly editorials and the op-ed page. Reading The Hindu/ The Indian Express is advised. You may also start listening to All India Radio news analysis and Rajya Sabha TV discussions (Eg: Big Picture). So what does that mean to school students? Focus on your school texts! It’s the basis. Be a good student. Think and ponder over what is stated in your textbooks. Develop writing practice. Students from science background may collect humanities textbooks (NCERT) and start reading them whenever time permits. Links for downloading all NCERT books are given in this website. Priority: History, Geography, Economy and Polity related NCERT texts. If in a position to decide on the optional subject after analyzing UPSC syllabus and previous question papers (applicable only to college going students and pass outs), start to collect materials on the same. Try to finish optional subject first, as this will definitely give you an edge. During leisure time, pick books related to India written by visionary authors. A list of books for suggested reading is provided below, and these are not specialized texts for Civil Service Exam. But reading these books will widen your horizon and provide a clear picture on the past, present, and future of India. A good understanding on the problems of India with their right solutions can be of great help when you frame answers in Civil Services Mains General Studies and Essay paper. Yojana (Rs.10-20/issue – available online and offline). Kurukshetra (Rs.10-20/issue – available online and offline). When you have reached a comfortable position to start serious IAS preparation, you may start reading the recommended IAS Books. Once familiar with the requirements, enroll for the mock tests for UPSC CSE Prelims by ClearIAS Team. As you may know, only when tested in an exam atmosphere with negative marking, you can improve the ability to deliver in the actual exam hall. Try for free the UPSC Prelims online mock exams by ClearIAS in the new innovative platform which integrates learning with test-taking. You would be surprised to find how fast you can learn! All the best! Firstly just read only 11th nd 12th….that r sufficient… they cover all the matter of previous classes also…..
Sir I am not able to decide in which medium I should write the exam in Hindi or English please help me how should I decide the medium. I am very greatful to you. Articles are very comprehensive and inclusive. As a visitor of your site,I am very satisfied. i have just crossed 23 and entered into 24. i am not at good student though still i aspire for becoming an i.a.s officer, i managed to bag just 75.6 percent .in 10 (i.c.s.e) and 82 percent in 12 (i.s.c). with that i have completed economics honours with 52 percent from University of Calcutta in 2013 and pursuing post graduation. Do you think i have the merit to go for i.a.s or any allied services. any guidance for being focused for the preparation. Sir i add my words stating that i have never ever managed to secure proper rank in boards or entrance exams. shall i prepare and sit in the 2015 exam. category general. Yes, have self-confidence and give a try. You have nothing to lose. Can u mention in detail which Ncert textbooks to study as a beginner ? I am in the first year of my graduation and i hav started preparing for civil services for proper preparetion i joined a nominal coaching just for consistency. Sir in just a few days i am getting a good hold on it. Still am not satisfied with my performance plz suggest me how to improve even better because now i hav no burden of college study but from december it will be a burden so i want to do as much as i can in these few months. So that if after exams i take up i must have to give more time on writing. Thanx sir and to all honest member of this team for providing such greatful service. Clearing doubt is not only a solution for those who have problem but it can change his / her life. Sir I have just passed 12 standard and I have a keen interest in IAS .I want to become an IAS officer . I want my preparation for this from my 1st year so plz I want your guideline . I will be very greatful to you for helping me . Thank u sir I got a clear idea to clear IAS prelims and main .daily I m not getting sleep at night because of mine aim is to clear IAS and KAS. Hi sir!I am Kesha just finished my higher secondary&joined BE.Can you suggest some ideas to my dream(IAS )to come true. Hi, I am B. tech computer science 2nd year student and I aspired to become an IAS officer. Can you suggest me your views to achieve my goal. Sir, I am doing my ug cou.I want to become an ias office r.any online coaching are available for me? Sir i m pursuing m.com final and want to become ias officer. Please suggest me tips to crack ias in my first attempt in 2016. I am doing B.E (civil engineering) 1st year. I want to prepare for UPSC exam from now onwards. please give me some tips to crack the exams after completing my degree. Thank you for your kind information. This webpage data are very reliable to beginners. @Vysakhan: Welcome. All the best! What is the medical standard for IAS ..
sir I am done with my 12 grade I am in a dilemma on pursuing my undergaduation, or start preparing for my civils services by taking up a normal degree course I am deeply interested in both of them. I’m a student of std 11 from arts stream and I wish to clear upse in first attempt…. how should I go forth ?? I m a tenth passed out student and I was interested in social working. But I didnt take IAS as serious as I was not so good in the habit of newspaper reading. But now I feel like I want to crack IAS . Also, my parents are willing to support me. What can I do now as the very beginner?..can I crack it if I try from the very now?..and ncert books from which classes should I prefer,..because I actually don’t remember all of the lessons but a little..? I am a tenth passed out student and I was interested in social working. But I didn’t take IAS as serious as I was not so good in the habit of news paper reading. But now would like to crack IAS. Also my parents are well supporting me. Though I was back in updating myself in current affairs I believe I was scoring good in my ncert syllabus. Anyhow I m afraid without knowing current affairs how can I succeed!! Now I m ready to read newspapers. But will it help me? And..ncert texts of which classes should I prefer to revise…as I don’t remember all of the previous classes lessons.,?..and how can a beginner like me crack it?! I would request you to help me with a solution..
Hi Aysha, don’t worry! As you are just out of school, you have plenty of time to catch up with current events. Make newspaper reading a habit along with your regular studies. Keep checking our website and keep updated with latest news and study materials. But don’t overburden yourself with too many things at an young age. All the best! Sir I have passed 12th this year from PCM with 76% sir could you please tell me to which part of newspaper I should pay more imphasis. I m 12th pssed out commerce student. I have completed my hsc exam with securing 83%. As i want to clear IAS exam. I need ur suggetion. Uptill now i was not has habbit of reading newspaper but now i m reading newspaper daily. But i m comfused between NCERT books.I have to crack this exam. Plzzz sir help me. From where should i start??? ? Sr i am btech 2nd year student n thankew so mch for guiding me for the start but what if i join online classes…could they provide me right path? can i use icse books to prepare for the civil service exam.i studied in icse and wants to know whether i have to buy ncerts or use my old textbooks of icse .Such a doubt i because all are recommending ncerts. Sir, i m in the 3rd semester of b.sc & i want to start my upsc preparation. can i appear ias exam next year that is during my 5th semester? Sir I am in engineering in first year& I want do the preparation of ias exam . How can I do this . I am a first year student in BA Sanskrit of calicut university. I want to crack IAS examination. I think ,I can choose Sanskrit as the optional subject. Can I go for MA Sanskrit after 3 yrs of graduation. I am poor at acquiring general knowledge. Day by day ,I am afraid of CSE. I want to improve my writing skills and should start reading books as part of ias preparation. Please provide me your suggestions to bring my preparation in a good way. What books should I cover? Time schedule: how many times I have to concentrate in IAS preparation. what percentage is required to attend this exam????? I am studing bca I st sem .. I have a goal to clear ias exams in my first attempt.so i wish prepare now onwards . Please guide me with a strong strategy at every stage of preparation. 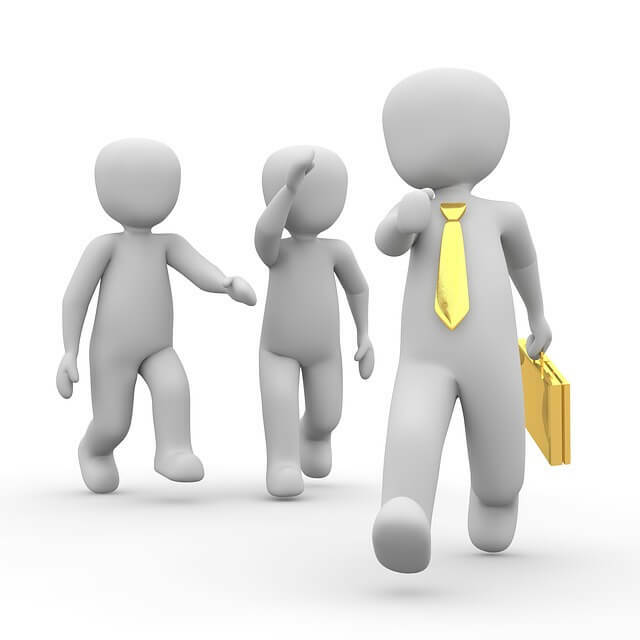 Sir, I am pursuing graduation in business administration (Bba). I have heard that management is an optional which is rarely chosen. I would like to choose it as optional for mains. Is it possible for me to take up upsc examination without pursuing my MBA???? Plz do reply Sir. Sir, I am doing bcom 3rd year and I want to appear for IAS exam. But my understanding of school time subjects is poor.So can u Plzz suggest me should I go for upsc? first start with NCERT of class 9th to 12th. this will clear your basics. after that you can prefer good authors for UPSC. yes dolly, you can prepare without any coaching. coaching will clear only the basics. the rest preparation depends upon u, how u prepare for it. sir, i had done my graduation from IIT kharagpur (civil), i am preparing for IAS without any coaching. i cleared preliminary exam of UPSC in 2015, but cannot clear the mains. i need guidance to clear UPSC mains. and i covered all the topics for UPSC 2017. but my biggest fear is to write essay on any topic which is the third paper of mains exam. please suggest some good book or material to perpare for it. Hi, Neeraj…Appreciate your self-confidence. Reading good articles from ‘The Hindu’ and ‘EPW’ will help you to know how to frame an essay. Also, write at least 1 essay every week. Also, read this article from us – https://www.clearias.com/how-to-write-a-good-essay-civil-services-mains-exam/. I am Software Developer and I want to start the preparation of Civil Service.my query is..I don’t have that much time for read the extra materials but I can manage the 6 to 7 hr every day. which study material I should use for quick preparation. Sir, I completed my 7th class & going to 8th class.Please give some suggestion to prepare for I.A.S exam from nowonwards. Sir I completed my 12th board. I want to crack UPSC in 2021. So I want start from now.from where I should start?? How much time I should give for study daily ? I am belongs to SC caste, my ssc 60percent, inter 41percent and bcom 40percent. Can i eligible for civils exam. Please help me out as soon as possible. Sir i am pursuing B.A.LLB and i am in 1 year what do u think what will be the right time fr starting my preperation fr clearing upsc.pls tell sir i am heighly confused actually me and my friends are confused plz help us. 1. How many subject we need to prepare for IAS exams? 2. Where I can find the information about relevant books for preparation? Appreciate if you could share some related or useful link for preparation. Sir, We can give exam in how many languages? Sir I am a MBBS student of NRS Medical college Kolkata. I want to crack IAS exam. Can you give some idea about how to start it’s preparation in a right way ao that I can clear it right in 1st atempt. Thank you in advance. Hello sir I am Arnav and I am in class 9 th , also daily newspaper reading was not in my habit and I wanted to prepare for an IAS officer as I wanted to work as a social worker but I was really not serious for IAS but from the nineth I am really very to be an IAS , but sir today I read your article in the first paragraph I got worried but reading forward I thought that I could prepare for IAS and can crack in IAS if I do my bestest ever, sir I only want your suggestion that how could I prepare for IAS from my 9 th onwards to crack the upsc exam in first chance. Sir …I would be very grateful to you. Plss as soon as possible reply to my question. Bro..Nothing there in science in ncert of 11-12..How to learn polity? Hello sir, I have a doubt. Please clear. How would I choose IPS over IAS? Because I want to be an IPS officer. Please help me sir and reply me.